Guided by a theoretical application of pedagogy through courses, workshops, speakers, internships, and service-oriented opportunities. The social justice institute will address the roots of injustice and create an avenue for understanding and developing innovative solutions. Through the educational aspect this institute will work towards the inclusion of all students, while stressing a multidisciplinary approach. The Center will facilitate interdisciplinary research that will work to inform scholars and policy makers about fair, equitable, and beneficial policies for the people. 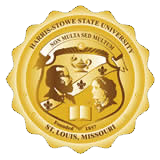 We will create a relationship and innovation collaboration between the university of Harris Stowe State and the surrounding communities. We will create and support a community of scholars that have a passion to pursue social justice. Our goal is to empower our community and assist them in gratifying their full potential. This institute will address critical justice issues that are plaguing our society and will provide advocacy to facilitate systemic reform.